He says the Normandy Four leaders' meeting is requisite. The representative of Ukraine at the tripartite contact group on Donbas settlement, Leonid Kuchma, has stated the need for a meeting of the leaders of the Normandy Four nations (Germany, France, Ukraine and Russia), saying the lower-level talks have reached a dead end. The second president of Ukraine said the time for a meeting of the Normandy Four was ripe. "I want to stress that the issue is stalled both at the level of the Minsk process and at the level of foreign ministers. 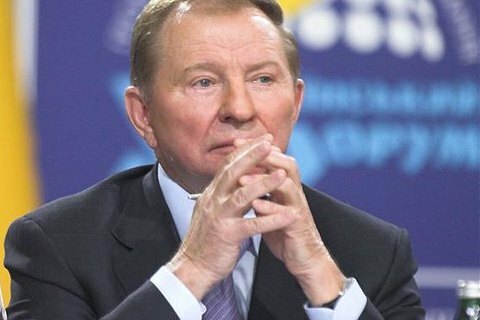 We need to get together and say in public where we are and where we are going on the issue," Interfax-Ukraine quoted Kuchma as saying in Dnipro on Monday, 27 March. The previous meeting of the leaders of the Normandy Four was held in Berlin last October, followed by two meetings of foreign ministers in November in Minsk and in February in Munich. Russia snubbed the Normandy Four meeting of representatives of the foreign ministries in Paris on 24 March, where diplomats discussed preparations for a ministerial meeting, as well as humanitarian, political and security aspects of the situation in Donbas.